They say there’s no such thing as a free lunch, but in Piccadilly Circus this week I found plenty of free hugs on offer. They come courtesy of Mukhtiar Singh Dhaliwal, a guru-like figure in striking headgear, and there are plenty of takers. Glamorous young women (and a few good looking young men) took him up on his offer of free embraces. It’s the kind of scenario a lot of real world shooters deal with on a daily basis – following an unpredictable figure on the streets in fly-on-the-wall fashion with a handheld camera, rather than dealing with a preplanned shoot in a controlled environment. In fact, it’s the kind of scenario that many users of the original C300 face daily in their work. You only have to take a look at what VICE and many others are doing to get the idea. So what better opportunity to test the brand new mkII – a pre-production camera kindly lent to me by Canon before it goes on sale later this year – and its amazing autofocus. 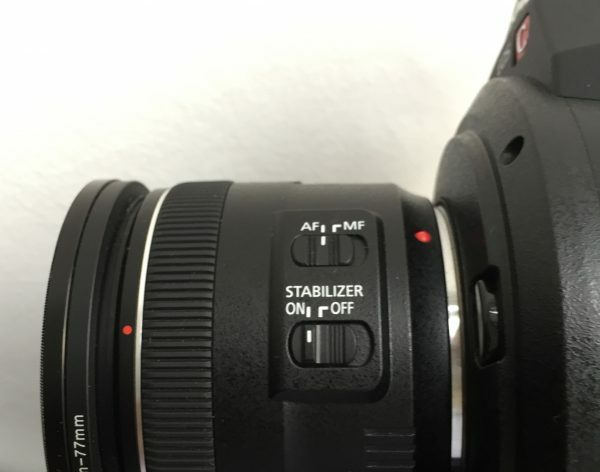 This is by no means a conclusive test – rather me getting to know the camera and the strengths and weaknesses of the new AF system in an all-autofocus shoot. The camera has so many features and options that it is going to take me several more days to form a full opinion; there’ll be more to come on Newsshooter as I explore the mkII. 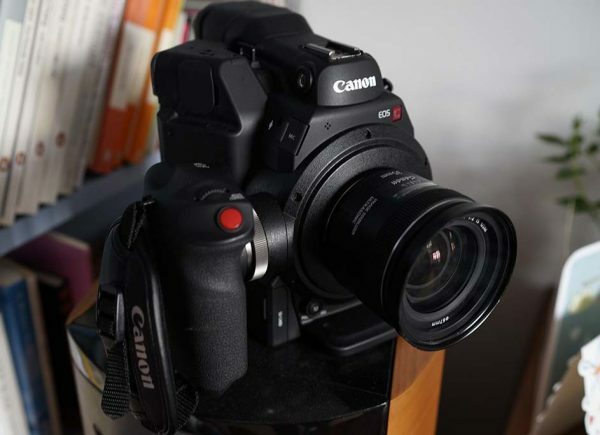 The C300 mkII DAF autofocus system is clearly the most advanced ever seen on a video camera. 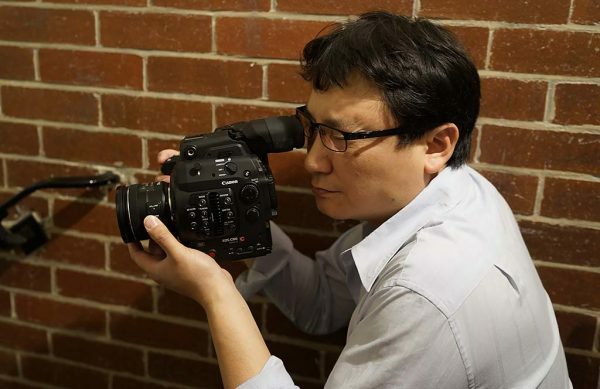 It builds on the Dual Pixel CMOS AF available for the C100, 300 and takes it to the next level. Those systems were limited to focusing on the central of the screen, but the C300 mkII can focus on subjects in a much wider area that spans 80% of the image horizontally and 80% of the image area vertically (The original C300 and C100 with DAF only cover 25% of the horizontal image and 20% of the vertical). The subject can be manually selected via the jog dial on the camera, or automatically detected using face tracking. The camera can track moving objects and the speed of autofocus transitions can be adjusted. I previously posted an article where I tried this out and for simple subjects in a controlled environment and it seemed to work very well indeed. In that previous test I wasn’t able to actually record in-camera. This time Canon were happy for me to do so and the camera I have here should be very close in performance to the final production model. With so much factual TV production being done on the original C300 I wanted to see if the autofocus could handle this kind of shoot, entirely handheld and with just one lens, a Canon 35mm f2 with in-built image stabiliser. I set the camera to continuous autofocus and initially tried to follow subjects using face tracking AF. I discovered straight away that when the light fades the face detection and tracking system tends to struggle. In the low contrast it just wouldn’t lock onto Mr. Dhaliwal’s face no matter how hard I tried. I also discovered that the moment a subject ducks their head down, or turns away so that the eyes are no longer visible, that the face AF also stops working. It seems that the face tracking works really well in simple interview situations or ones when you can control where the subjects are looking, but not in unpredictable ones. After a couple of failed shots I quickly gave up on the face detect and switched to selecting the AF point myself. To do this you simply navigate a small box (which can be either small or medium sized) around the screen using the jog dial on the handgrip (or LCD jackpack). The camera then attempts to focus on whatever is in that box. As with the original C300 you can also lock the focus at any point by pressing a rear button on the handgrip (this is set up in a custom function). In the main this worked really well. I was able to focus quickly and I think it was better than I would have been able to do focusing by hand wide open at f2.0. It was a delight to see subjects just pop into focus with virtually no effort on my part. As with all autofocus systems that are just attempting to follow a specific point, the problem arises if you miss the subject, or you can’t keep up with a moving subject in the frame. Then the AF just locks onto whatever is behind and brings it into focus. You can see this in the shot below when the two young women are talking directly to the camera – I cut around the focus error in the final video. The skilled operator will guess when this is going to happen and temporarily lock the AF until the autofocus point is back over the subject. This sounds a bit complicated, but for the large part it worked in this video. I’m sure my results will improve the more I use it. Pulling focus between objects was equally easy – although the speed of the transition is limited. 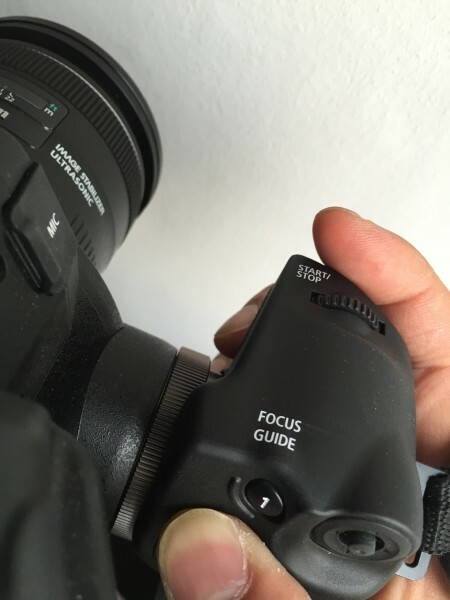 You can simply move the focus box from one point to another using the jog dial and the focus will follow. The speed of transition can be slightly altered in the camera menu, but I couldn’t find a way to do really slow pulls. Even so I felt the result was very natural looking and the focus didn’t appear to hunt at the ends of the transition the way the other systems do. You can judge for yourself how well it works from the video. The next day I tried out the face detect AF in daylight with much better results. In those conditions I found it worked very well again as long as the subject was looking into, or near, the camera. When the tracking system loses sight of a face it can either revert to a regular focus point, or simply deactivate altogether. For straightforward interviews it works amazingly well. One option which I have just started to test is the ability to control the focus system by touch via an iPad. I report more on all of this in subsequent posts. 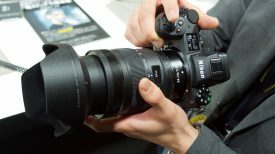 I also want to run a test with third party AF lenses like the popular Sigma 18-35mm f1.8. 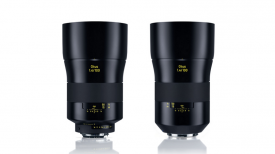 It will be interesting to see if its AF works as well as a genuine Canon lens. Whether you would benefit from the AF system in your work really depends what you do, and how you work. 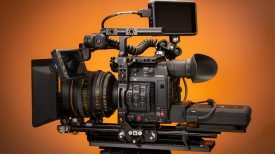 That said, for factual programming, I think the C300 mkII’s autofocus is going to see regular use in the near future (possibly just as much by shooting producers and directors as trained camera operators). Would I consider using C300 mkII’s AF for my own work? Absolutely. I’m confident that with practice I will instinctively know when to use face detect, when to use continuous AF, when to use single shot AF, and when you need to revert to manual focus. I reckon I would be able to use if for 90% of the shots I do, and that’s pretty good.